This will be my second year riding in the PMC Winter Cycle. Last year I rode to support my mom who was undergoing treatment for Lung Cancer. She had been diagnosed in August 2017 and had been fighting it all fall and winter. Chemo, radiation, and had been accepted at Dana Farber for a special trial that spring. She came to the Winter Cycle from Vermont, in the winter, with her oxygen tank, during treatment, not feeling her best, to support me. That was the kind of mother she was. She wasn't going to miss it. She was going to be at Fenway as I rode because she wouldn't be anywhere else. 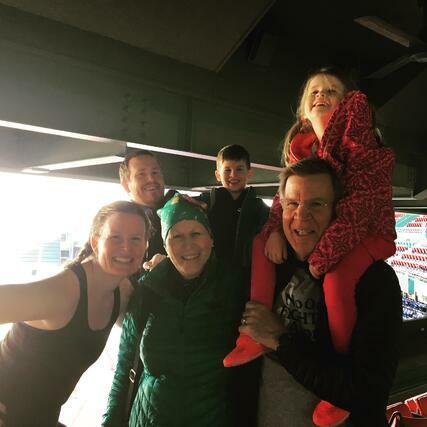 I watched her through the windows at Fenway as she looked out onto the field with my Dad, husband and my kids at her side. It made me pedal like I never had before. She came in for my third ride and stood next to me. Tears in our eyes, we were in this together. I rode for her and others like her who were stronger than they knew, fighting this awful thing called Cancer. It was the last day she would spend with my children. In March, she came back to Boston and was admitted to DFCI for her trial, but unfortunately as Cancer has a way of controlling things, she was admitted for complications instead and despite the best efforts of the amazing staff at Dana Farber, my mom lost her battle on March 7, 2018. Why ride again? It will be even more emotional for me, for my family. But it's something I need to do. The strength of the people in the room, the living proof riders, the instructors, the volunteers - I know it will get me through the day. My friends who ride beside me, my family who will come watch. Stronger together, we are in this together. I also do this because Pan-Mass is leading the charge to beat cancer. 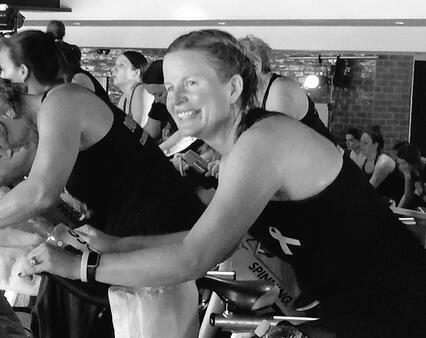 And if you choose to sponser me in this ride, 100% of your donation will go directly to cancer care, research and treatment at Dana-Farber Cancer Institute. I am currently signed up to ride for two hours that day (from 9-11, but if you help me surpass my goal, I will keep adding hours on, just like I did last year.) I challenge YOU to Challenge ME! Thank you for joining me on this special ride.